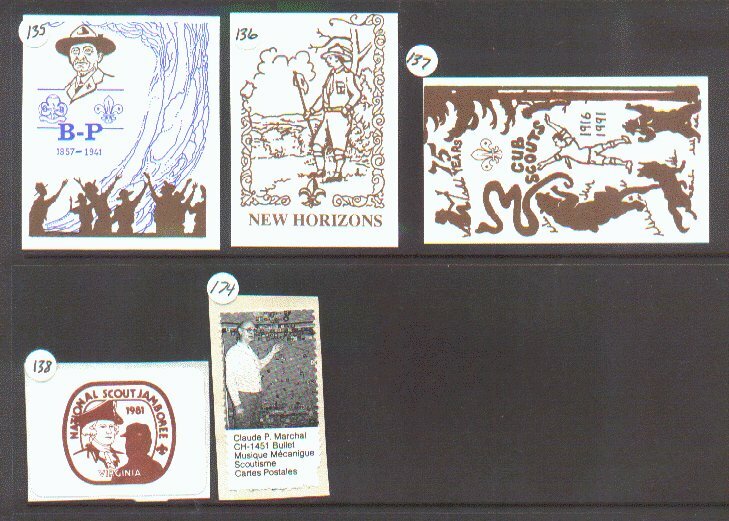 These are selected seals from their various pages. Click on one to view all the seals on that page. 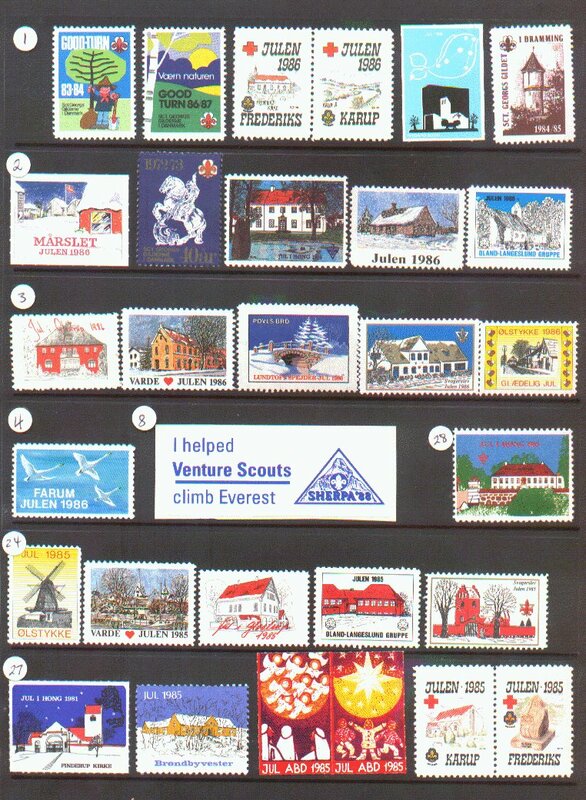 Collecting Scout/Guide seals is usually in association with the collecting of Scout/Guide stamps or memorabilia. 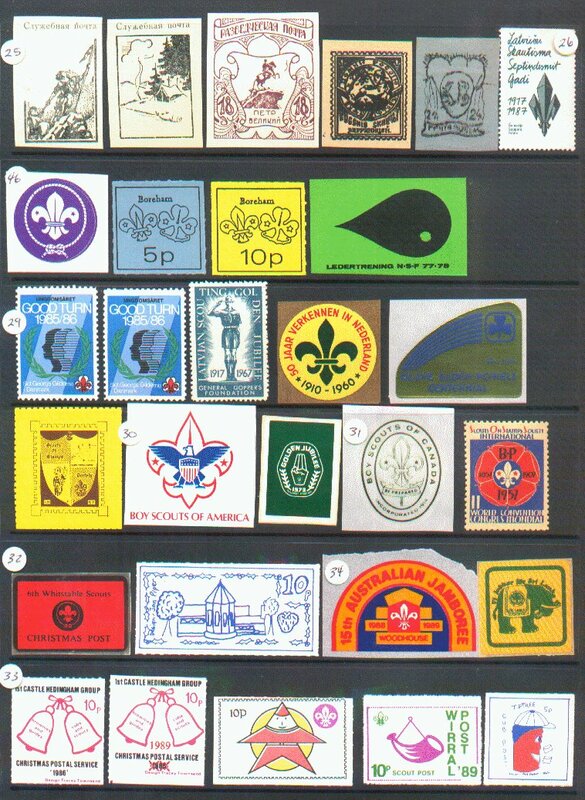 There are not many seal collectors that collect only Scout/Guide seals. 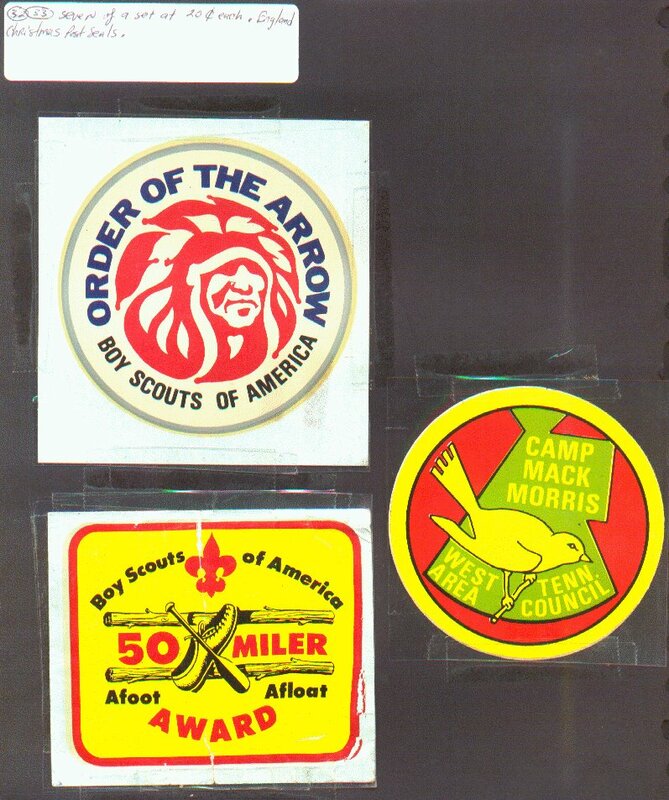 The collecting of Scout seals can be an intriguing hobby. What is a seal? A seal could be classified as any item with a paste or pressure sensitive surface that permits it to be attached to another surface. 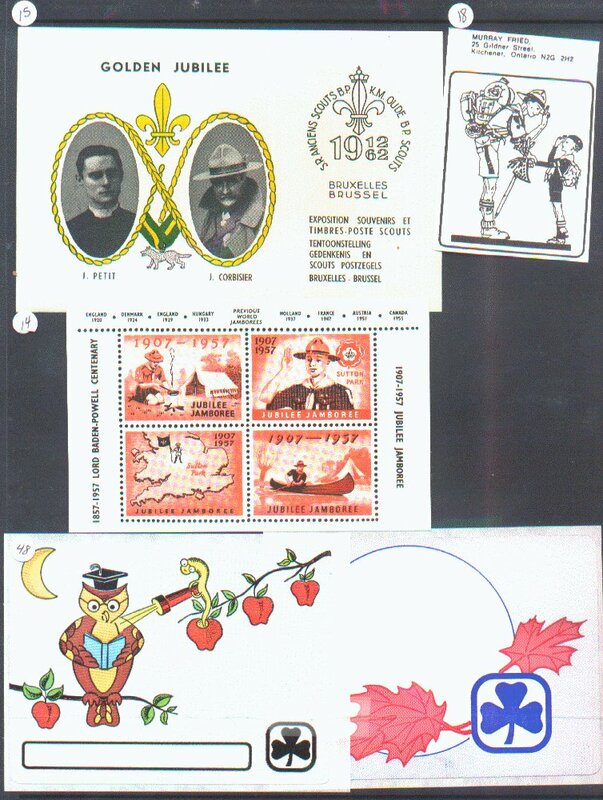 These could include stickers, labels, decals, transfers, and non-postage stamps. 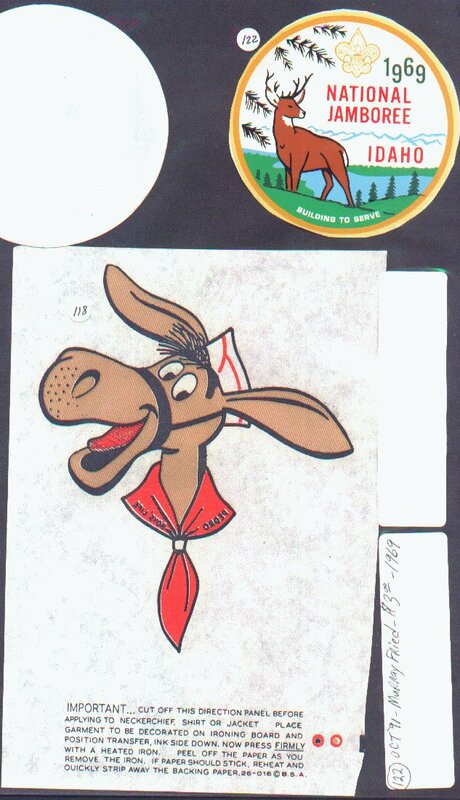 Also, photo-stamps, book plates, crests or patches with adhesive backing could be considered by some for seal collecting. 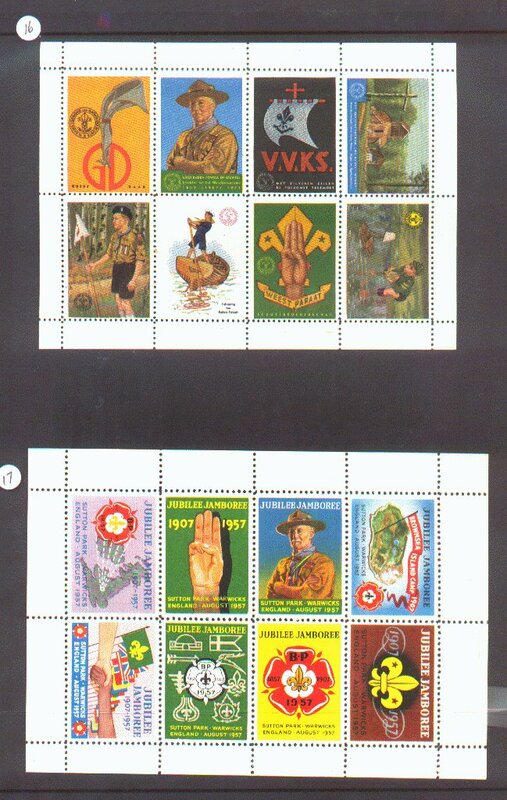 Some seals are issued both perforated (like postage stamps) and imperforated. 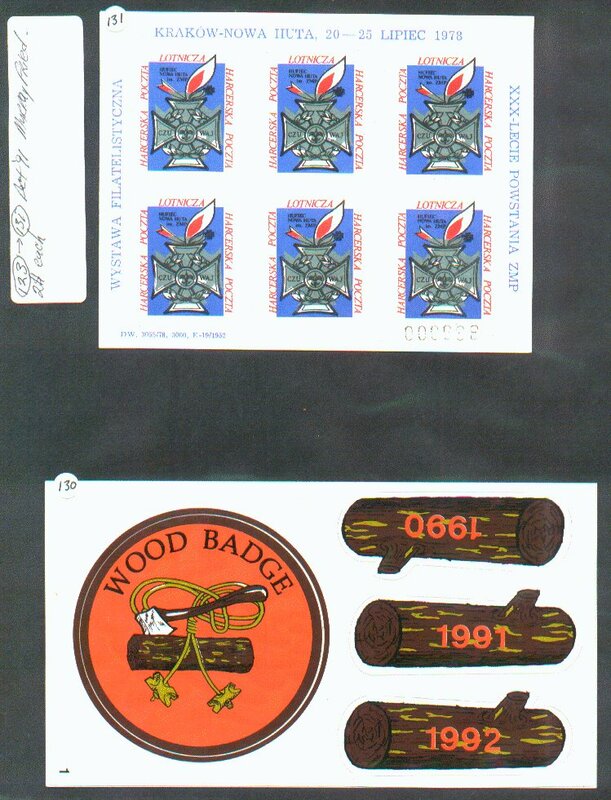 seals are issued by National, International and Local Scout Organizations as well as Scout Groups, individuals, Scout Camps and other charity and commercial groups and organizations. They are issued for the purpose of publicizing Jamborees, International Conferences and Organizations, special events and camps. Camps will issue decals for publicity and groups may issue seals for fund raising or promotion of events or stamp savings banks etc. 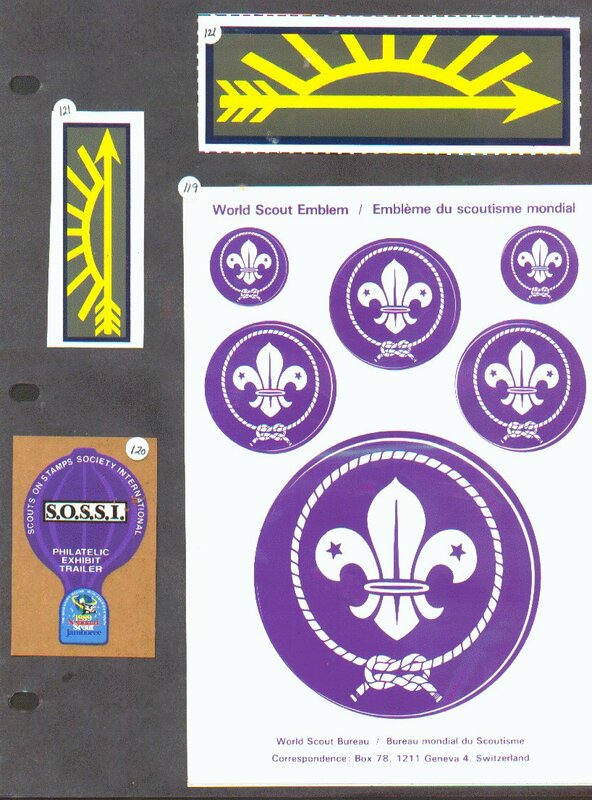 seals are also issued for advertising and charity and commercial use, decorating and are seen on Scout articles sold through Scout Shops. 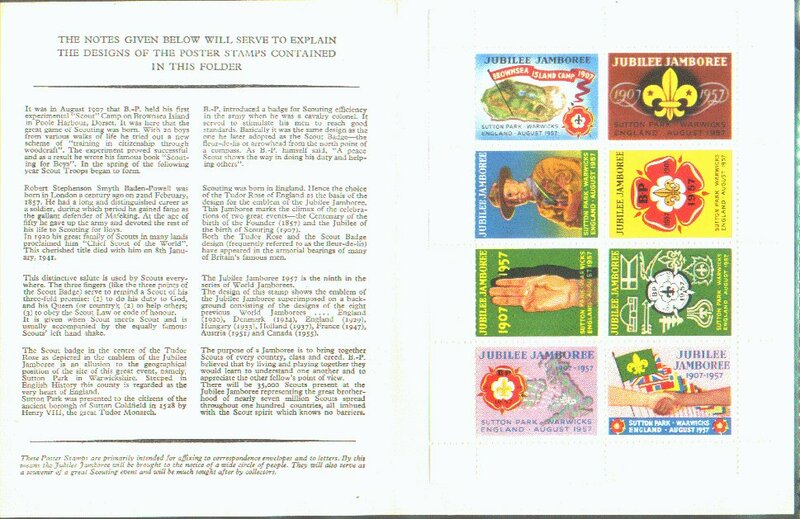 There is no end to the issuance of Scout/Guide seals. 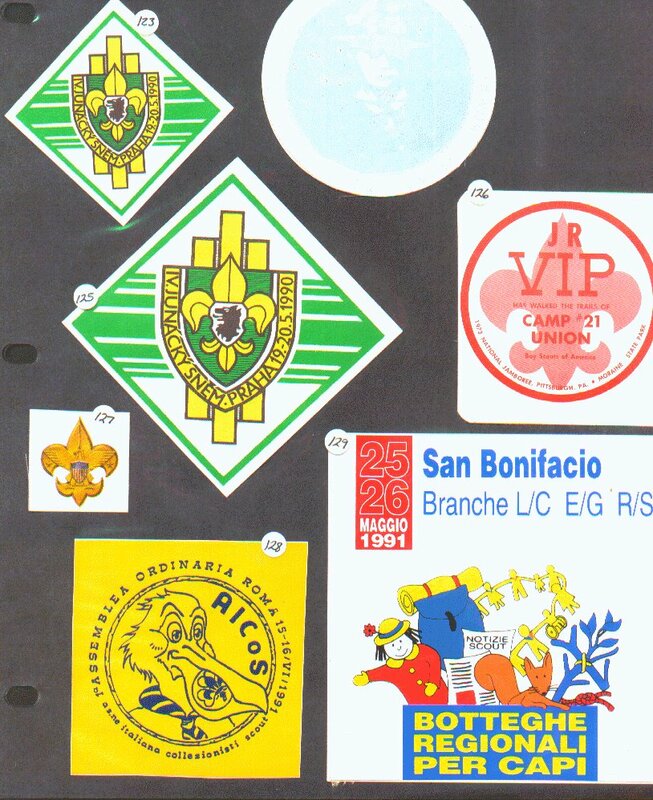 seals do picture many activities of Scouting and Guiding , Scout logos, camping scenes, slogans, advertising messages, etc. 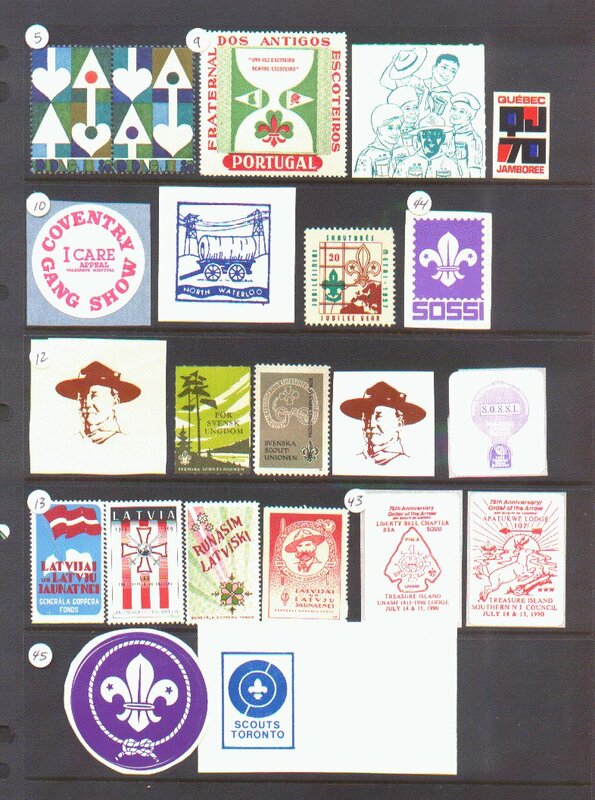 There are many seals that picture Baden-Powell the founder of Scouting. 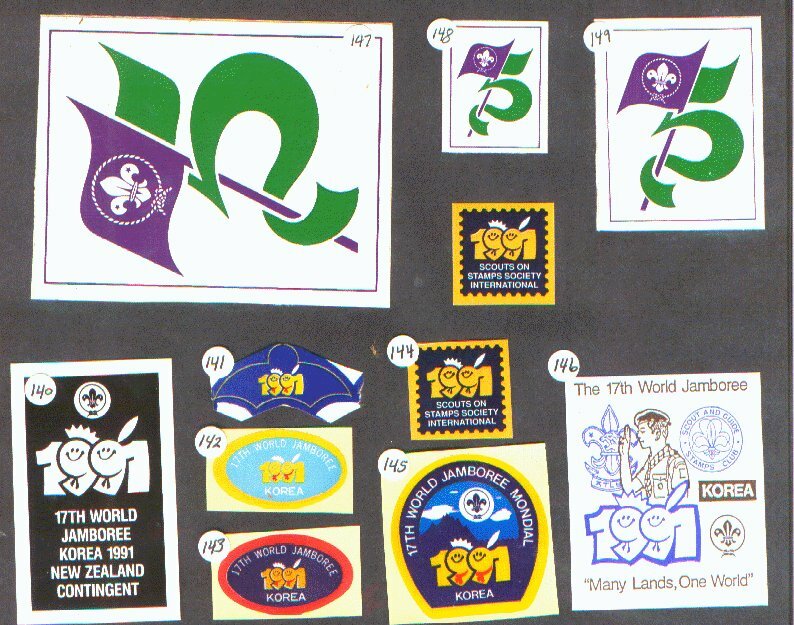 seals go back almost to the origin of Scouting in 1905 in England and Europe. 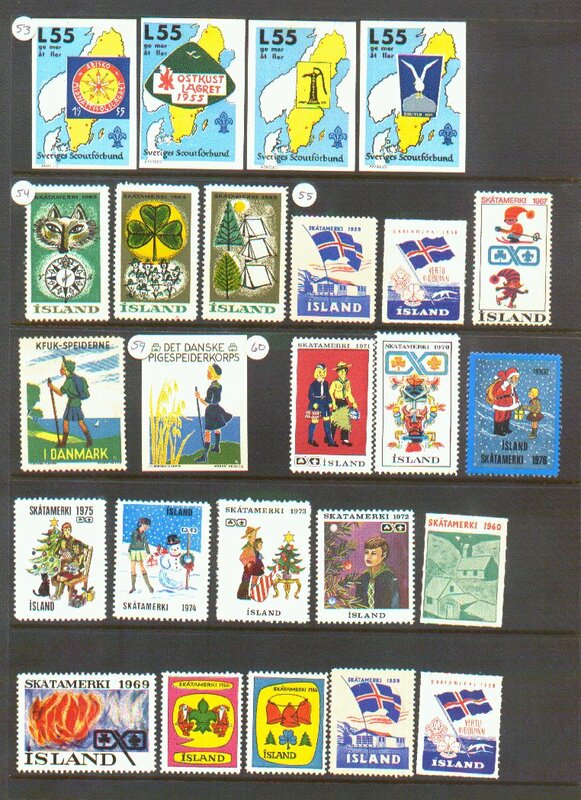 St. George is popular on seals particularly in Denmark and Sweden. 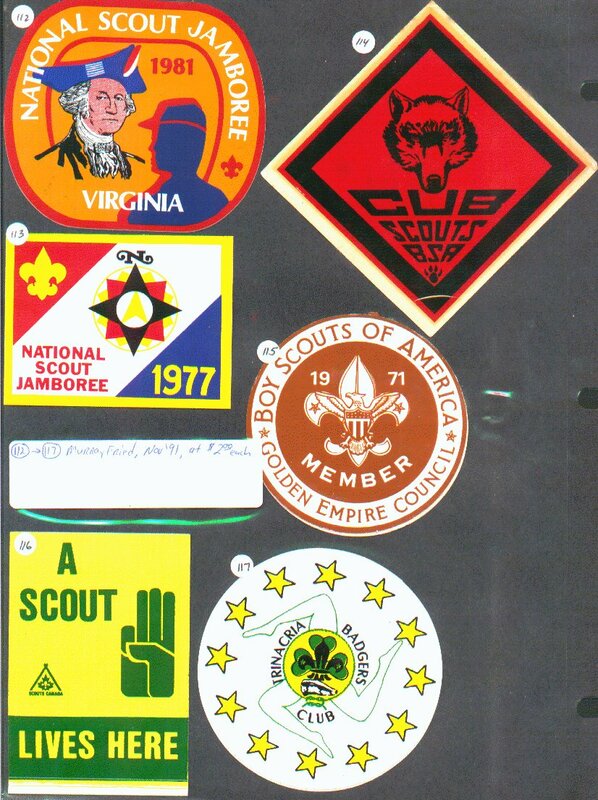 Ethnic Scouts in exile have issued many scout seals over the years. One of the oldest seals is 1908 from Hungary. 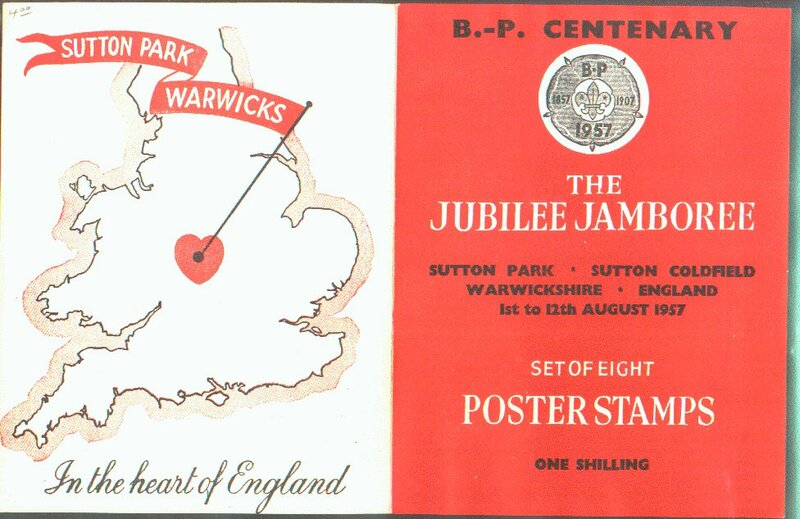 There were seals in England for the first 3 Jamborees 1920, 1924(OP) and 1929. 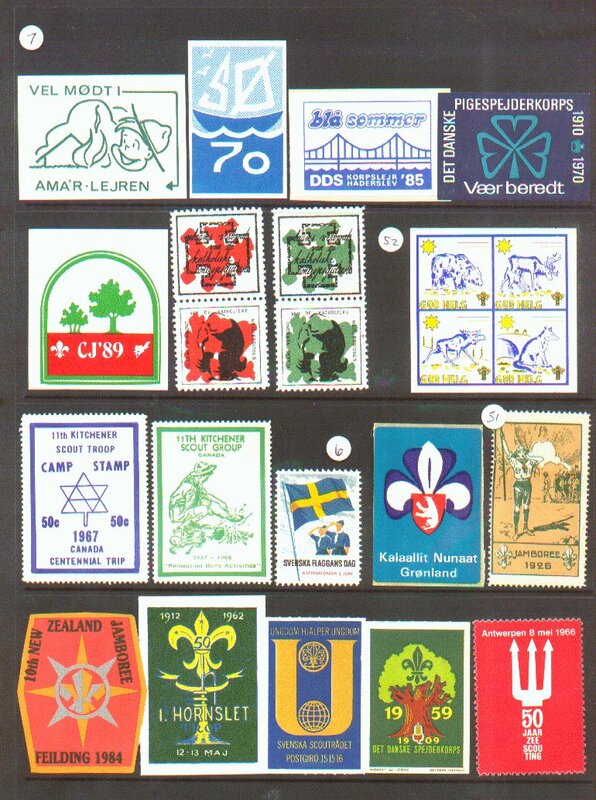 France had a set in l913 and the sets of France (Tobler Chocolate) seals of 1920 are probably the most colorful ever issued. 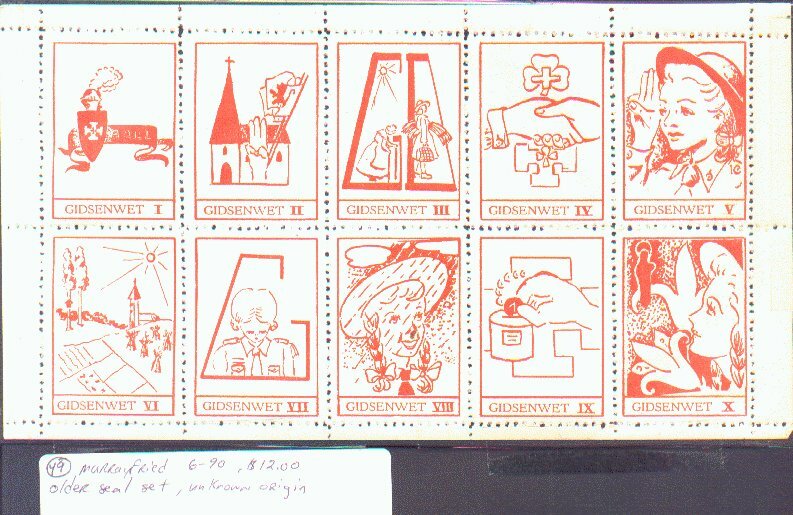 German seals from 1913-14-15 exist as well as a very nice 1914 from Norway. 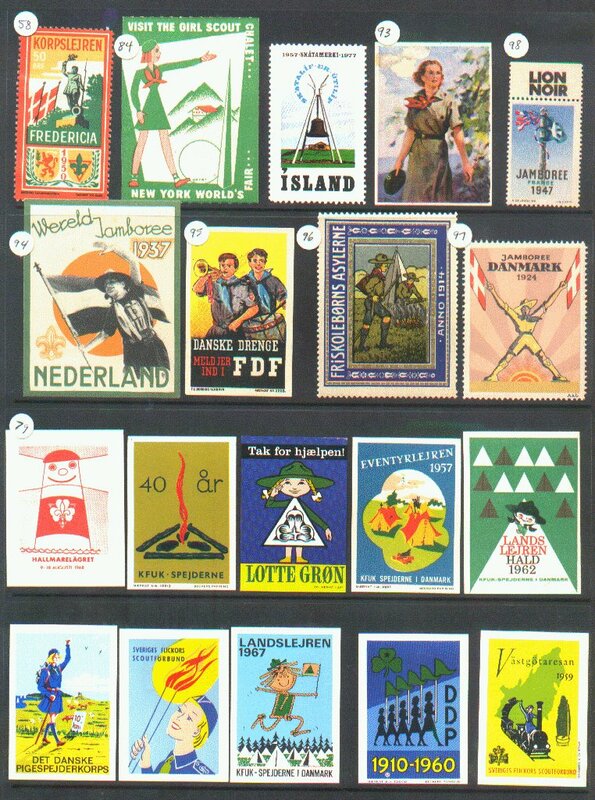 Other older seals are Switzerland 1925, Denmark 1916 and 1924, Netherlands 1912 and 1916 and Sweden 1911 and 1914. 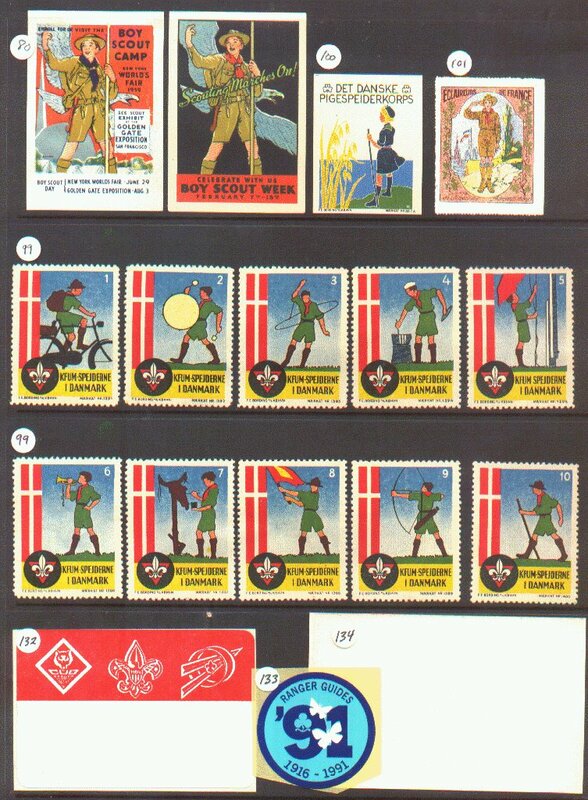 Czechoslovakia had scout seals issued in 1920 and 1927 and some of the earliest U.S.A. are from 1925. 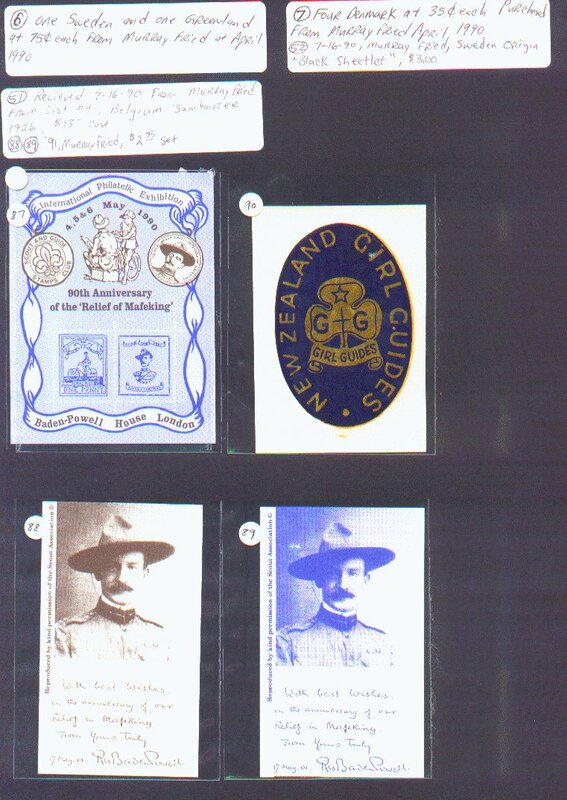 There is no catalogue of all Scout and Guide seals issued. This would be an almost impossible task. 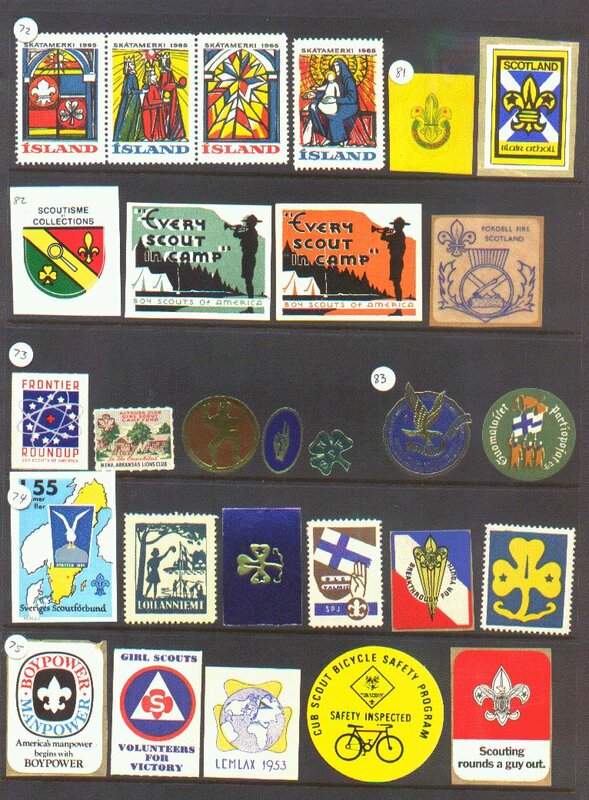 In 1955 Harry Thorsen Jr. and W. McKiriney issued a book "Boy Scout Fund seals and Camp Post Stamps" and in 1961 Harry Thorsen issued a combined Scout Stamp-Scout seal specialized catalogue and several seal supplements appeared later. 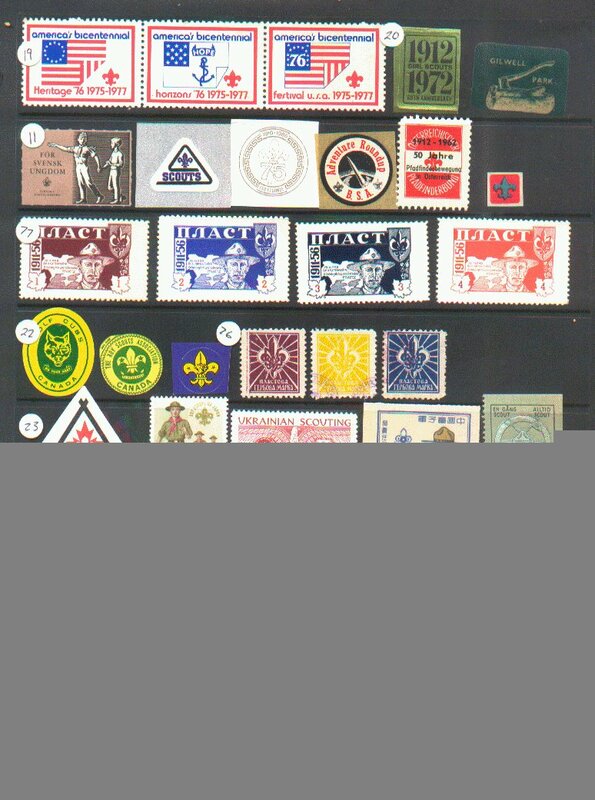 Since there is no catalogue of all seals it is a very challenging and rewarding hobby to track down old and new Scout seals from around the world and build your own collection of these often forgotten but very attractive items of Scouting past and present. Values can therefore only be established amongst collectors based on age, demand, condition, appearance, number in existence etc. 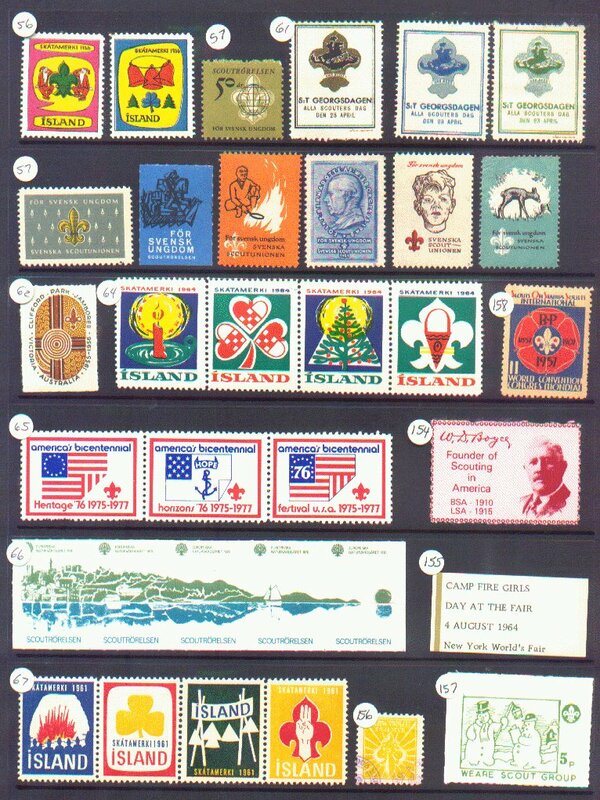 and the older seals can as a result be very high in price as are older scout stamps. 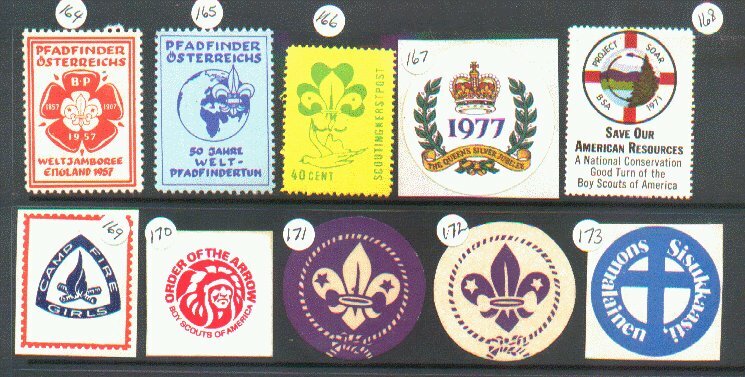 Next time you come across a Scout or Guide seal consider it a worthwhile collectable. Pick-up a few extra for trading with other collectors. 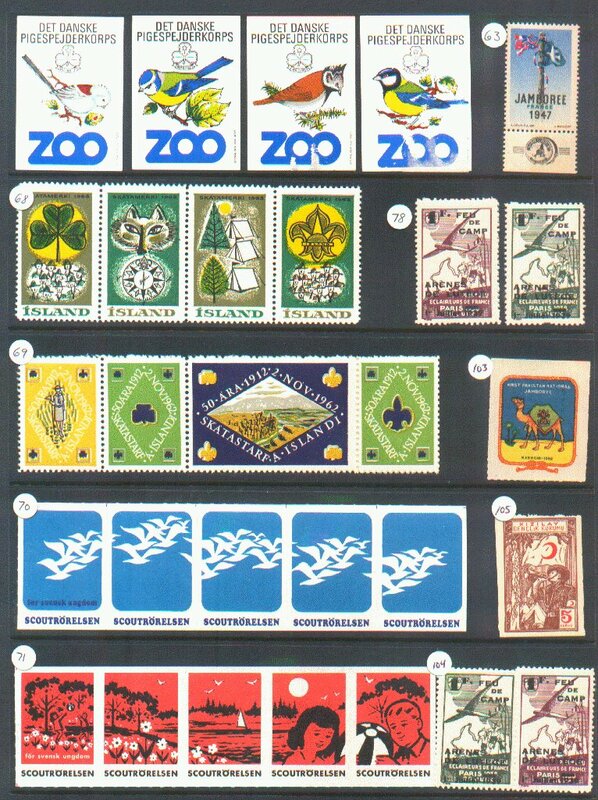 Keep it as a separate segment of your Stamp collection and the challenge of locating seals might be worthwhile to consider. 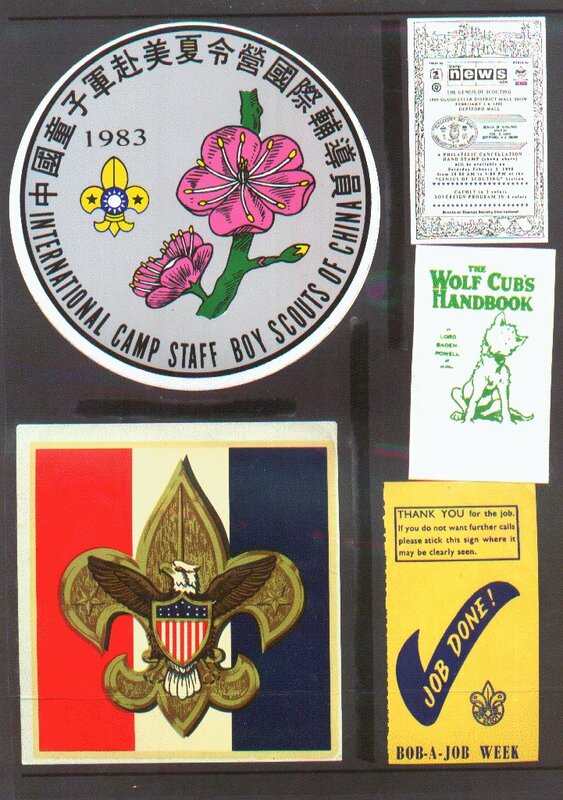 Although when we gave the name "World Scout sealers" to this 'seal collecting organization' some think of it as Boy Scout seal collectors. 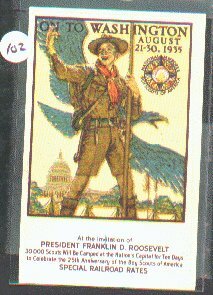 It must be clarified that the name Scout intended to mean Boy Scout and Girl Scout. 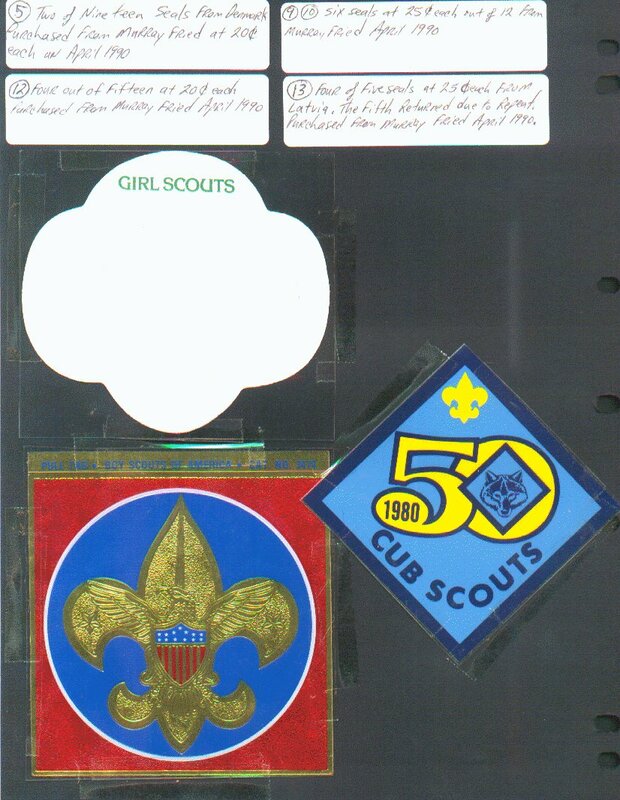 Most of the collectors collect both Boy Scout and Girl Scout seals. In the U.S.A. the organization is called Girl Scouts , however in Canada and most other countries in the World, the girls are called Girl Guides. 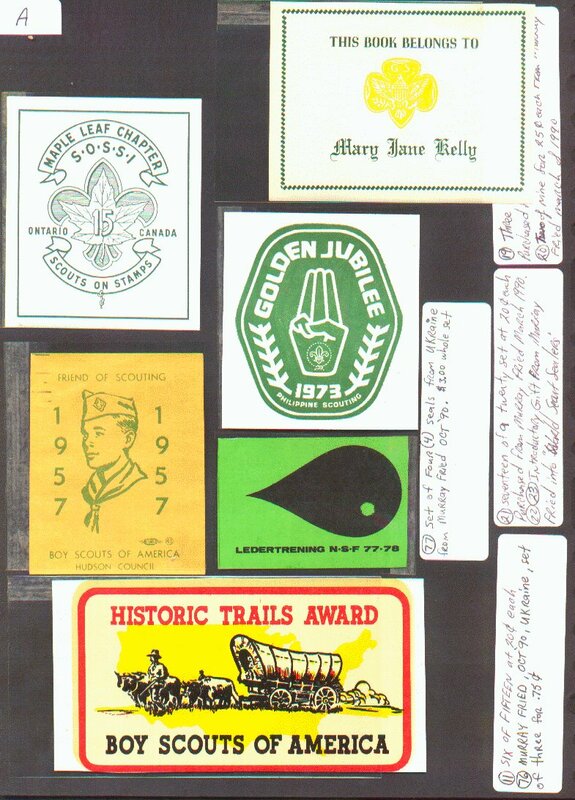 There are also some girl scout leaders in the USA that collect only girl scout seals. 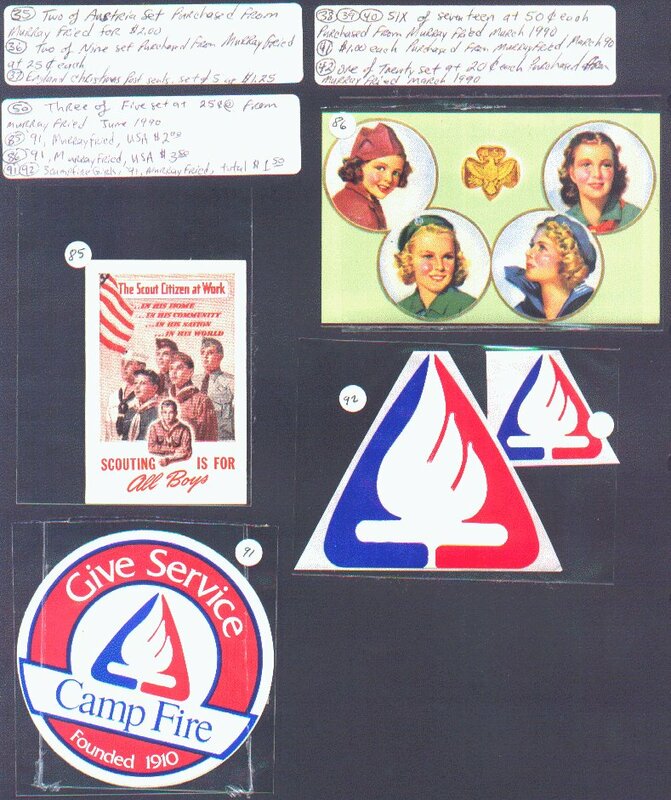 There are many girl organizations in the USA, such as Camp Fire Girls, and some collect these seals as well. I think recently this organization has dropped the name girl and is accepting both boys and girls in their organization. There are also other Church sponsored girl organizations that sometimes show up with a seal. 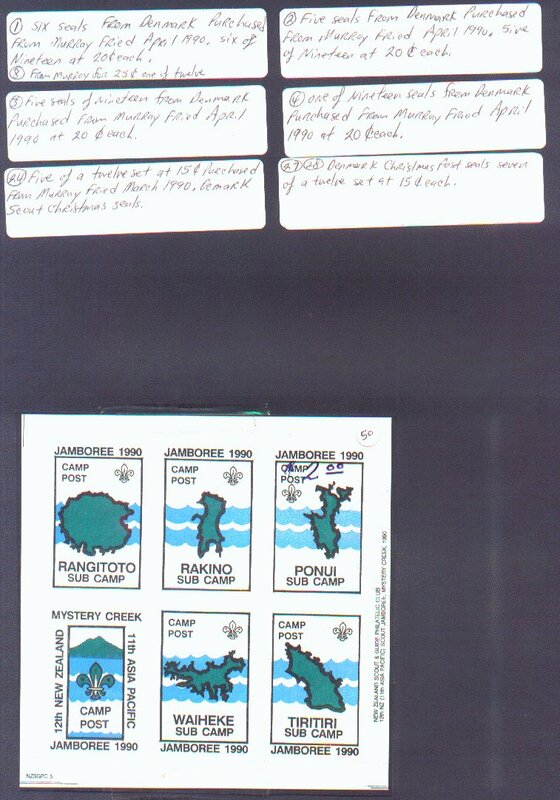 As with Scout Stamps, every collector has to decide what her/his collection of seals will consist of. 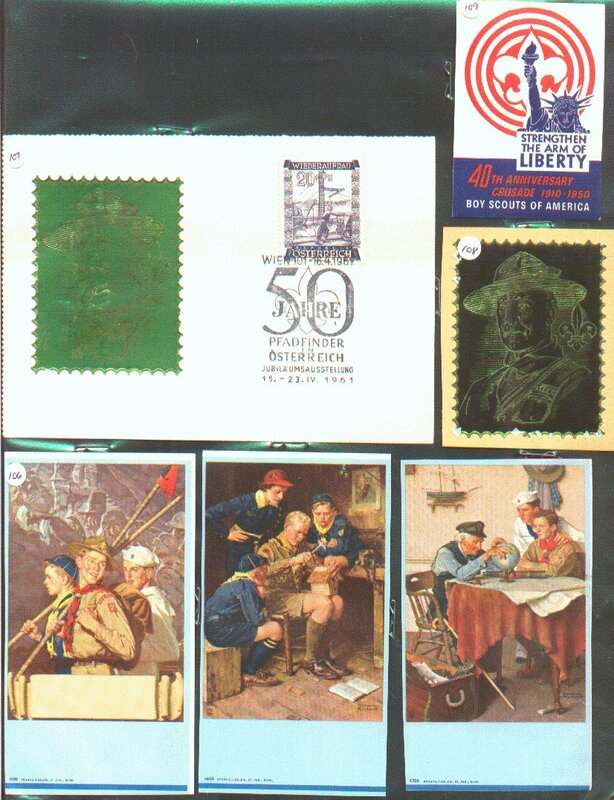 I have met collectors who focus their collection on their country, seals with trees on them, seals/stamps resembling the BSA merit badges, etc. 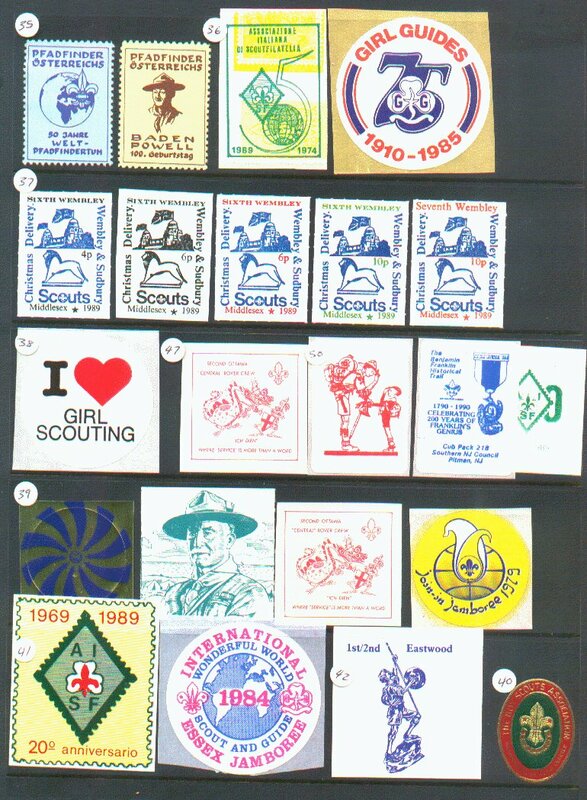 However, most of the Scout seal collectors I know collect both Boy and Girl Scout/Girl Guide seals. Each collector will decide the 'topical boundaries' of their collection.